With 72% of the Indian population living in villages and accounting for 50% of FMCG and Durable product sales, go rural is the new slogan for most companies. But a lack of knowledge about rural consumer behavior proves to be a major hindrance. This is where Utsaha comes in, a student run initiative aimed at gaining insights into rural consumer behaviour. 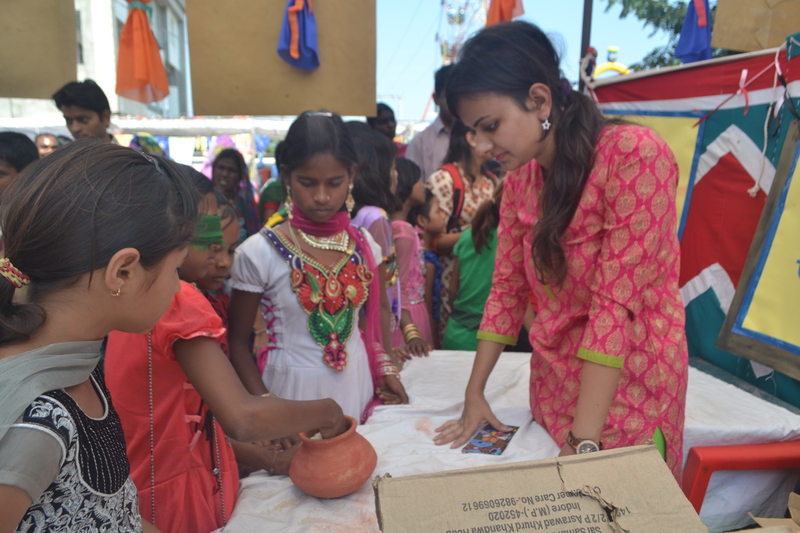 Utsaha started off in 2009 when PGP students of IIM Indore saw an opportunity in the Kartik Poornima Mela of Janapav Kutti as a suitable platform to understand rural consumer behavior. Since then Utsaha has gone from an idea to the one of the most awaited events in the B school calendar with active support and projects from government, corporate houses, institutes and SMEs. The USP of Utsaha is ‘Disguised Market Research’, the respondents don’t know they are being subjected to market research and so all they do is enjoy the fun and fervour around and in the process give valuable, unbiased insights into consumer behaviour. Utsaha, the annual rural marketing fest of IIM Indore returned for its 6th edition this year on the 5th and 6th of November 2014. 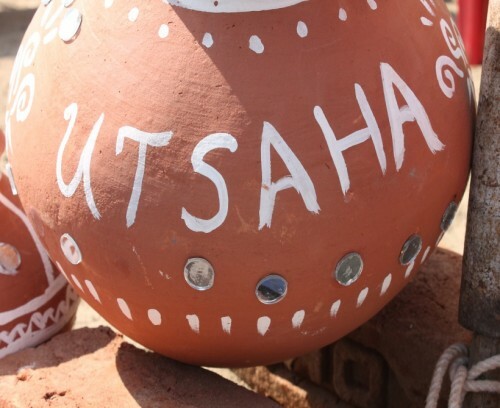 Conducted over a span of 2 days, Utsaha 2014 saw a footfall of over 60000 people, a testimony to the wide appeal Utsaha has generated over the years. Like every year Utsaha 2014 was held on the auspicious day of Kartik Purnima – the first full moon after Diwali. 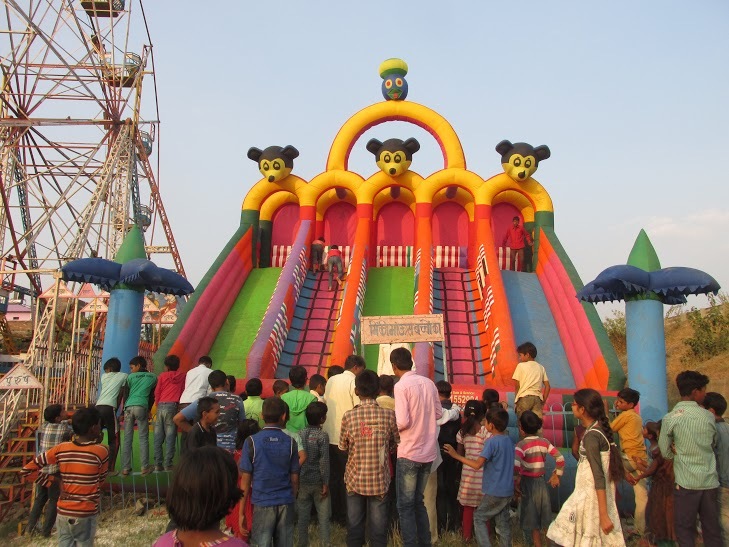 People from villages far and near came to pray and enjoy the festivities the mela provided. While most B-schools associate industry giants with the placement season, it’s different at IIM Indore since many of them are also our project partners for Utsaha. The project partners for Utsaha 2014 included industry stalwarts like HUL, ITC, Mondelez, Vodafone, Pepsico and Pidilite. The projects included conducting market research, profiling new product launch, brand analysis and validating marketing strategy. Each project was setup in a different stall with unique fun activities and games to capture customer behaviour. The stalls of Utsaha had been rendered the largest space in the mela, just besides the centre of attraction of the fest – the Giant Wheel. 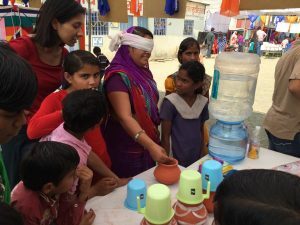 Each stall conducted unique initiatives to complete the research needs of that project. The dedication and effort the students of IIM Indore had put behind Utsaha was evident in the hand-made slogans, drawings and charts at display in every stall. Innovative and fun ways to engage people of all age and gender ranging from taste tests, unstructured interviews to survey through fun games were used this year. Utsaha 2014 with myriad of hues, fun and fervor all around saw strong participation from men, women and children alike. From Magic shows to turban tying competition, Utsaha had something in store for everyone at Janpav Kutti. 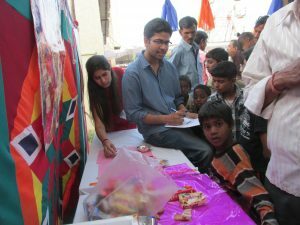 The team of Utsaha managed to collect over 2500 responses for their research. A welcome change at Utsaha 2014 was the active participation from the womenfolk of the villages in responding to marketing research who are generally reluctant to such activities.